coming from Germany, I grew up with fruit teas. I haven't been able to find the quality fruit teas from Europe. This one is a game changer! THE BEST!!! I got this a gift over two years ago, stored it away and found it recently. I never opened it until now. I have been drinking this tea everyday for the last two weeks since I opened it. I have literally never written a review in my life and I am so into this tea that I had to. I hunted down the website and the exact brand off the bag so I could share it with the world. You will not regret buying this tea. A little goes a long way. 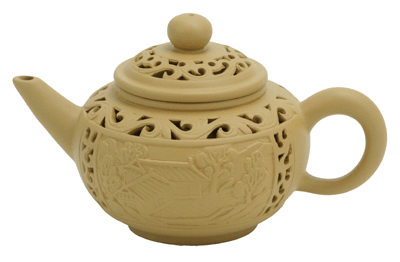 I enjoy Lady Hannah's Fruit Tea by itself or mixed in with Jananese Sancha green tea. We have been looking for something to drink iced that is decaf. 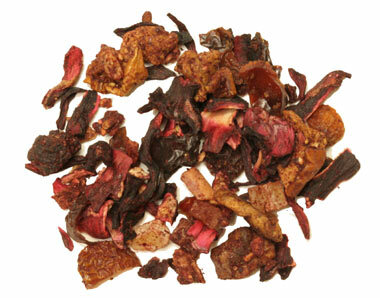 Lady Hannah's Whole Fruit Tea literally knocks your socks off! It is delicious. We were completely and pleasantly surprised bu the wonderful depth of flavor. It is very refreshing. Try a squeeze of lemon in it too. I was skeptical reading the reviews of this tea. But they are right on! This tea is so delicious and good for you too. It is wonderful iced on hot days. Sometimes I will had a bit of lemon too. Lovely color. This has a very strong fruit aroma so I would suggest using it sparingly. Very lovely tea! I will buy it again. VT. I really like this one as a iced tea. Will buy again. This tea is very fruity and smells wonderful. It is also a very good ice tea. This tea is exactly what I was looking for! Natural sweetness, vibrant, amazing taste! You only need a little bit for the flavor! I mix this with a cinnamon stick and it is perfect! This tea has a nice somewhat tart fruit flavor. It is very good with a little honey added for sweetness. My kids love it! I tasted this tea in a beautiful tea room and wanted to enjoy it at home. To my pleasant surprise, I found it at a reasonable price from Enjoying Tea. The tea shipped quickly and arrived in a nice sealed bag that will keep it fresh. The quality is excellent; fresh and delectable. I will definitely shop here again. 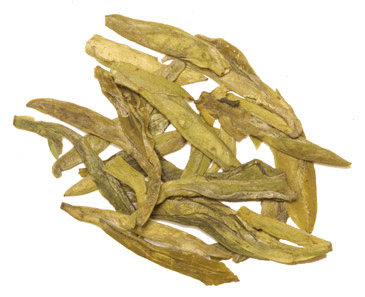 The combination of flavors, fruty smell and vivid color makes this tea one of my favorites. 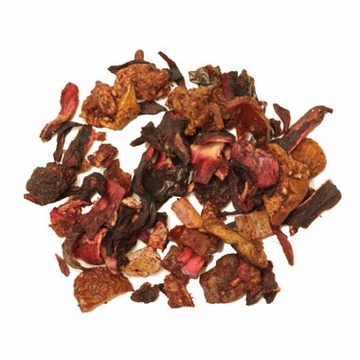 Combined with Pu-ehr and Oolong tea you get the Teavana blend at half the cost. I love Lady Hannah's for its beautiful color, smell, and taste. Wonderful on its own but also really amazing mixed with black, green, or rooibos teas! It is very much a "whole fruit" tea. Love it. Can drink it all day! I didn't know what to expect when I ordered this 'tea', but was pleasantly surprised. Unfortunately because this is not actually tea there are no recommended steeping instructions for it. I steeped it for 5 minutes in 210 degree water. The result was a ruby red liquid with an intensely fruity smell. Sugar really brought out the fruit flavors. I will try to steep it at a lower temperature and for less time the next time. The taste is very fruity and even a little tart. If you add this to your tea do so in small amounts so as to not overpower the tea. I'll also note that this tastes better chilled instead of hot if steeped by itself.